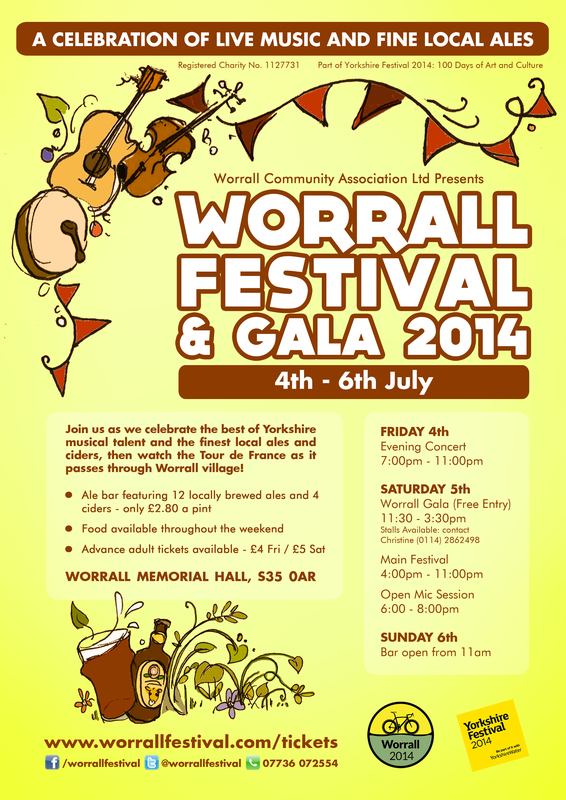 Worrall Festival & Gala 2014 flyers have gone to the printers this morning. Keep your eyes pealed as they’ll be appearing around Sheffield over the next few weeks. Thanks to Nic Bowden Design for the fab design! This entry was posted in News and tagged 100 Day Cultural Festival, Ale, Beer, Cider, Concert, Days Out, Events, Family, Family Fun, Festival, Folk, Folk Music, Food, Le Tour 2014, Le Tour Yorkshire, Music, Music Festivals, open mic, Sheffield, South Yorkshire, Worrall, Worrall Festival 2014, Worrall Folk and Ale Festival, Yorkshire, Yorkshire Festival by worrallfestival. Bookmark the permalink.